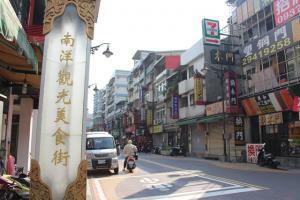 In the hustle and bustle of the city, Zhonghe’s Huaxin Street is a fantastic place to sample Southeast Asian cuisine. Known for having a human touch and selling a wide variety of Southeast Asian food, Huaxin Street, aka Myanmar Street, provides Myanmar immigrants with a real taste of home in Taiwan. In addition to the friendliness of local people, the various foods on sale are also authentic and every bit as tasty as the same dishes back home. For most people, Myanmar Street is a great place to visit, but for new immigrants to Taiwan whose hometown is thousands of kilometers away, it is a real home away from home. Many immigrants spend much of their free time here, sharing stories about their lives back in Myanmar.